I'm a vegetarian, so I don't really work with meat and I don't often promote it, but my partner and 4 of our children eat meat. I don't mind them eating meat and I'm happier if it's better quality. 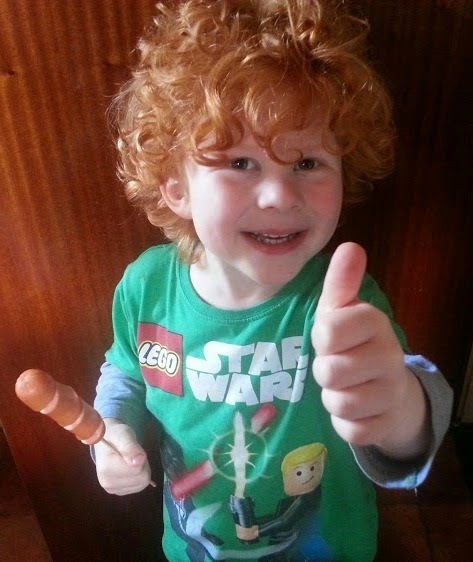 They love hot dogs, but finding a decent quality hot dog sausage can be really tricky. 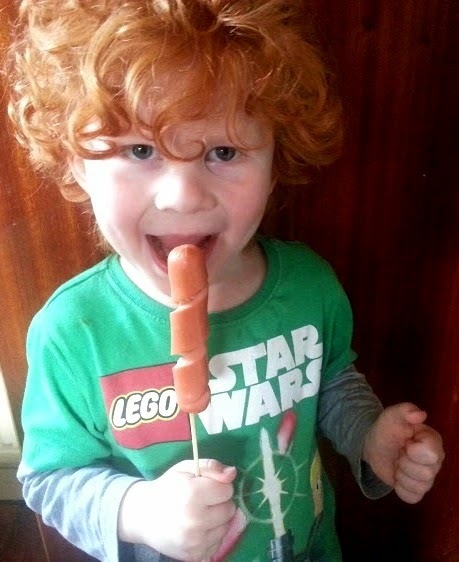 I was asked if my children wanted to try Jungle Dogs, and I'd heard good things about them, so I agreed. 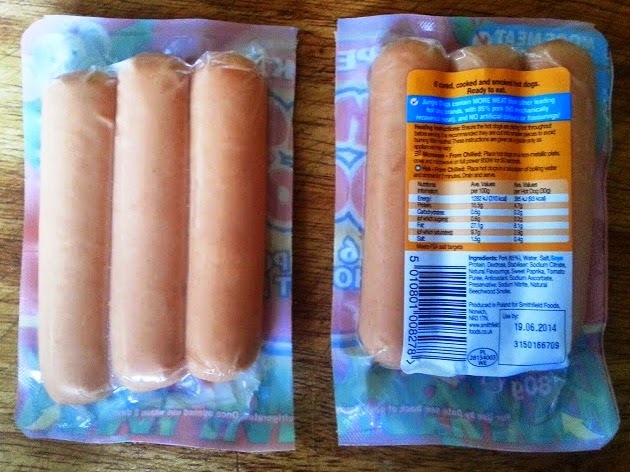 Jungle Dogs are a new meaty hot dog which has NO mechanically reclaimed meat. They are made with 85% meat - much more than your standard hot dog, and they have no artificial colourings or flavourings. 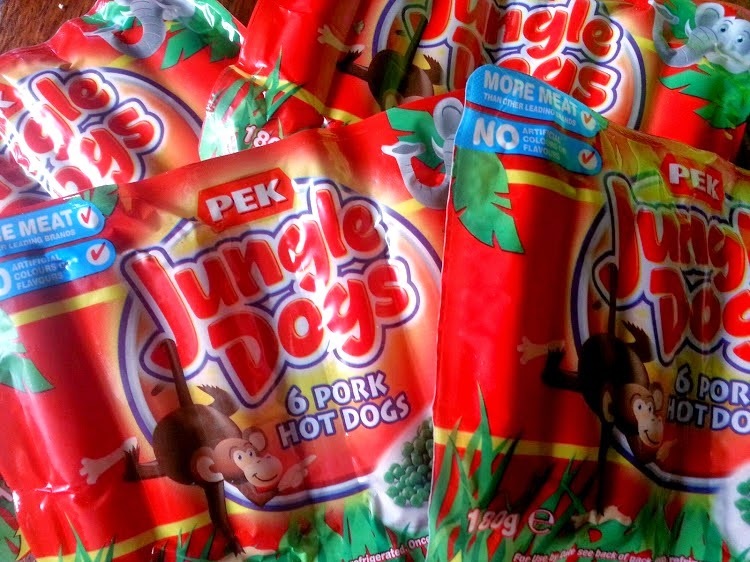 Each pack of Jungle Dogs costs £1 and has 6 sausages weighing about 30g each, so they're an ideal size for young children, and each pack of six is split, so you can heat 3, save 3. They're ready cooked, so they can be eaten straight from the packet, and are ideal for barbeques, picnics and camping as there's no danger from raw meat. We were sent some recipe ideas to try, and as it was a gorgeous sunny day I made my children and partner the Sausage Spirals. 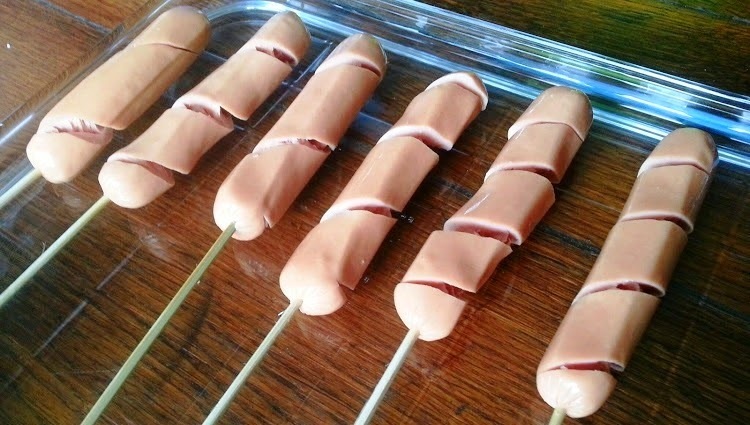 Insert skewers into the end of the hot dogs. Take a knife and cut through the skin of the hot dog in a spiral - be careful not to cut too deep. You get better with practice. Pull out the skewer slightly and watch it unravel. Heat up the Jungle Dogs by boiling, microwaving or barbequing. Glaze with the seasoned orange and honey mixture before serving. My 4 year old thought these were the best thing ever, and once he'd realised they could be eaten straight from the packet he pestered me non-stop until they were gone - he watched me like a hawk the whole time I was cooking the Sausage Spirals recipe. They were a hit with the 14 and 16 year old meat-eaters, but our 5 year old didn't like them. 3/4 is okay though, we can't all like the same foods. 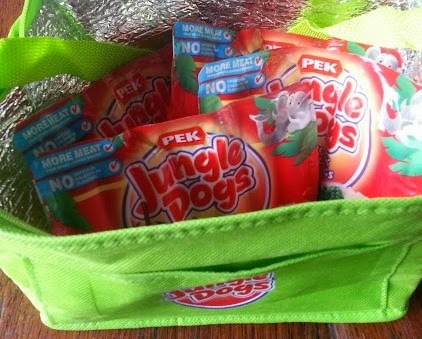 Jungle Dogs are available from ASDA and cost £1 per pack. My two loved these too (as did I!). 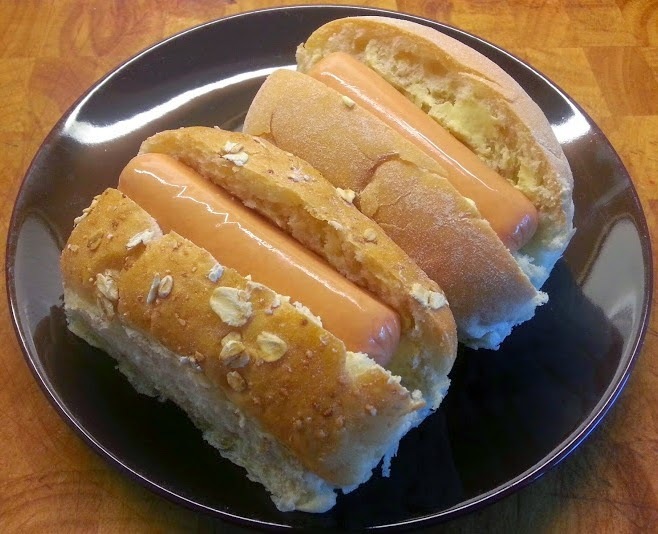 Definitely not your normal 'plastic' hot dog! I've never tried them, but we have a 7yo hotdog fan in this house and I rarely buy hot dogs. Not seen them before. Look yummy!